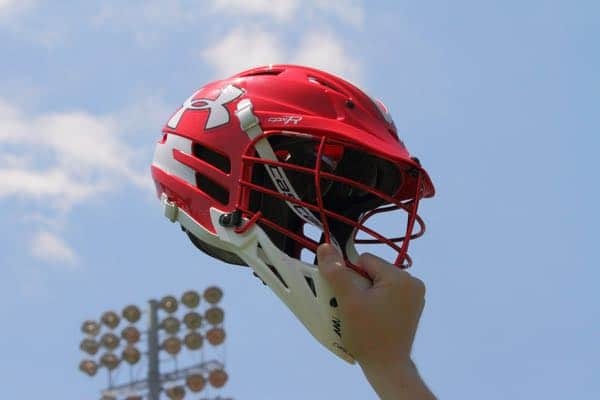 The Ward Report is my weekly column where I discuss all things lacrosse. I'll be traveling throughout the midwest and maybe further during the Spring season. My focus is on the Great Lakes region of the Midwest - Illinois, Indiana, Michigan, and Ohio - but I will be working with contributors in other areas in the midwest as well. I will do state and regional rankings. I've seen what passes as rankings in other publications and I think they are lacking. When I traded commodities, we had a saying “Talking your Position.” It means if I was a long on a commodity, and was asked, I would say it's going up, which meant you should be a buyer. Obviously, I was hoping it would go up and I could sell at a profit. Coaches do the same thing. It's not wrong it's just human nature. Most of the time they may oversell their program and oversell the teams they play. If you talk with enough coaches, media, bloggers, etc. you start to get an accurate idea of who-is-who. I will be seeing in person most, if not all, of the top teams in the midwest. I will see most of the interstate games as well where a top team from one state plays a top team from another state. That also helps judge the level of competition. Rankings are pure speculation and are my opinions based on the research I have done. I may think I know who should win, but that's not always the going to be the case. There are a lot of variables that go into outcomes, especially at the high school level. Grades, injuries, discipline issues, etc. can affect a team. These kids aren't professional athletes, they are students, going through the most challenging time in their lives, adolescence into adulthood. The lessons the student-athlete will learn playing high school sports will shape them into the adults they will become. With that being said my rankings will start after the first week in April. Teams should be jelled, players from other sports will be back, and there should be an accurate idea of where teams stand. Parents, coaches, fans, please remember, this is for fun, just like sports are supposed to be. If you disagree, that's fine. But try disagreeing without being disagreeable. I do this because I love it. I do this because I think the Midwest gets no respect nationally for lacrosse talent. You may not like your high school rival, but if they are playing a different reason, you better be pulling for them, because it can make your team look better. 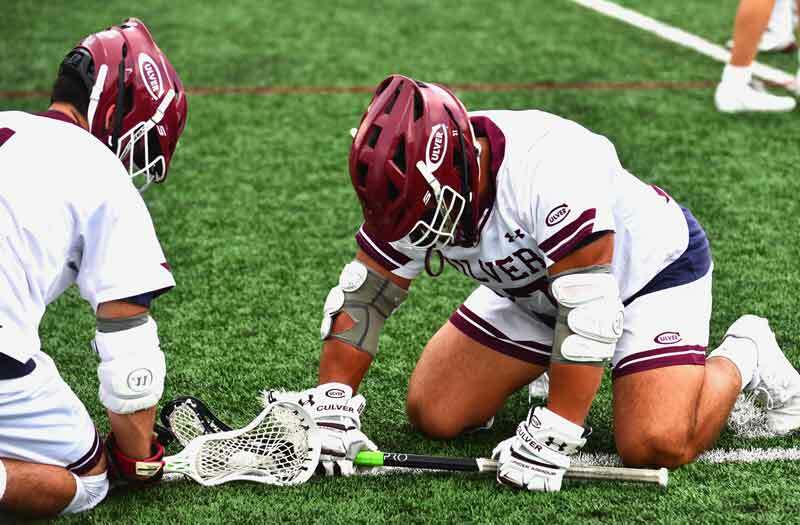 This week Loyola Academy (Ill.) is one of those teams. Loyola travels to Baltimore to play three nationally ranked teams. No. 8 Bullis (Md. ), No. 17 Georgetown Prep (Md. ), and No. 4 Calvert Hall (Md.). They play them back-to-back-to-back. If they are successful, that will be great for this region. Loyola plays New Trier (Ill.), New Trier plays Detroit Central Catholic (Mich.), Brother Rice (Mich.) and away games at both St. Xavier's (Ohio and Kentucky). Those teams play the best in Ohio, Indiana, and Michigan, so it can give more credibility to the region. Good luck Ramblers do the midwest proud. Last weekend I made my way to Ohio to see the Ohio Machine High School Showcase. They had a girls game and three boys games each day. It was held at Fortress Obetz, the home of the Ohio Machine team. First and foremost, id like to thank the Ohio Machine for hosting this. This was a two-day event with some of the top high school teams from Ohio. 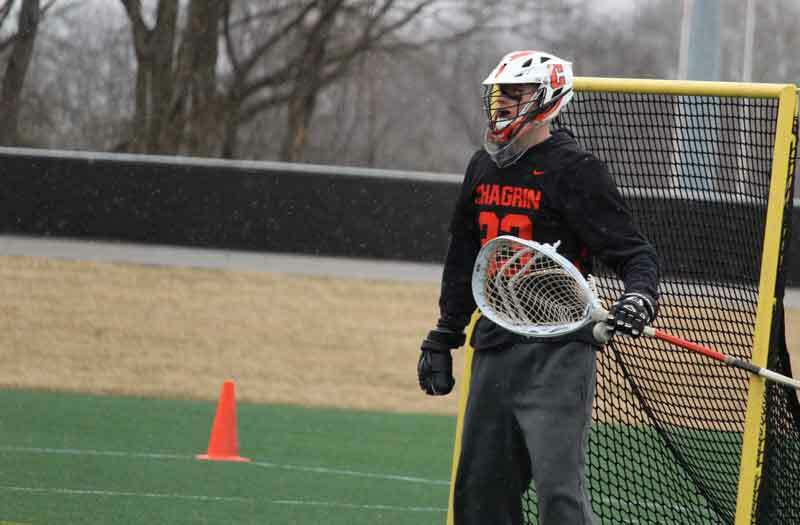 Their commitment to raising the profile of Ohio high school lacrosse is what I appreciate the most. It was also great to see such great lacrosse played in one location. I would love to see this get bigger and bigger, perhaps inviting teams from other states in the future. As the only professional lacrosse team in the midwest, I urge everyone to follow them, promote them, and support them. That's the only way you may see more professional lacrosse come to the midwest. This week I've watched lacrosse in Indiana, Kentucky, and Ohio. Here are the games I attended and my players of the game. My take: Stathakis is a beast at X. He's big, powerful and fast if you beat him - keep the ball. My take: Green had four goals and four assists in a blow out victory. In a blowout game, he could have gone with some stat padding but instead still moved the ball around. My take: Seo stood on his head to keep defending Indiana state champs Hamilton Southeastern in check and to get the win in overtime. My take: Malloy is what I watch this game for. He will always win my player of the game. He had his spleen removed six weeks ago and was out there battling, winning faceoffs and scoring a goal. That's overcoming adversity. That's what I love. My take: Bergman is a returning All- American. At 6-foot-4 and as athletic as can be, he just stands out. I can't wait to see these two teams play again. So that will do it, my first release of The Ward Report. I will have something every week may be more, maybe less, but it will always be me, straightforward and honest. 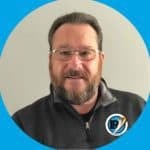 Ward is a midwest contributor to LaxRecords.com, covering players, team, and events in Illinois, Indiana, Michigan and Ohio. He also discusses the sport in general with Mike Loveday on the Around the Crease podcast and LaxRecords.com Youtube channel.